Heat indexes have dipped into the three digits down here in the Southern swing, but nothing, not even the sun's inferno, has made me 'melt' more than JONES' latest single. Coveting tender, honeyed hooks, and tranquil guitars and bass lines, "Melt" is a charmer through and through, and easily the one of the best singles I've heard, well, all year. Its summery soul vibe hits right on the cusp of besting JONES' heavenly heartbreaker, "Hoops", and with production by HONNE, it's difficult to even deny. 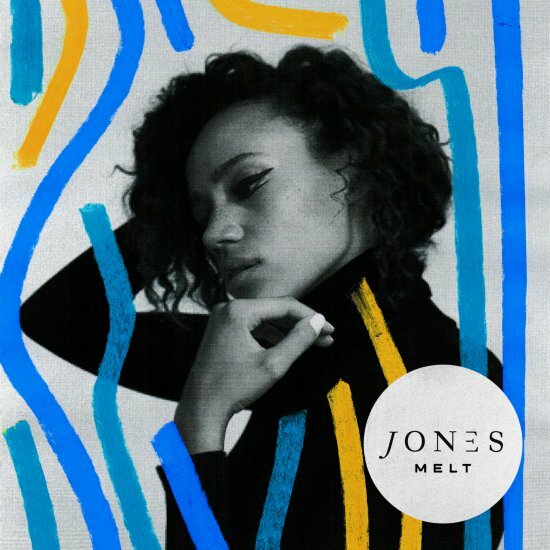 "Melt" just hits all the right chords and is the perfect balm to the craziness and heartbreak that has been happening recently (#OrlandoUnited, Orange Is The New Black's season finale...). JONES' anticipated debut, New Skin is currently without a due date, but still will (hopefully) make an appearance later this year. With MNEK and Two Inch Punch on the roster as guest stars, and Jones keeping things going with her sublime set of singles, New Skin needs to arrive sooner, rather than later.